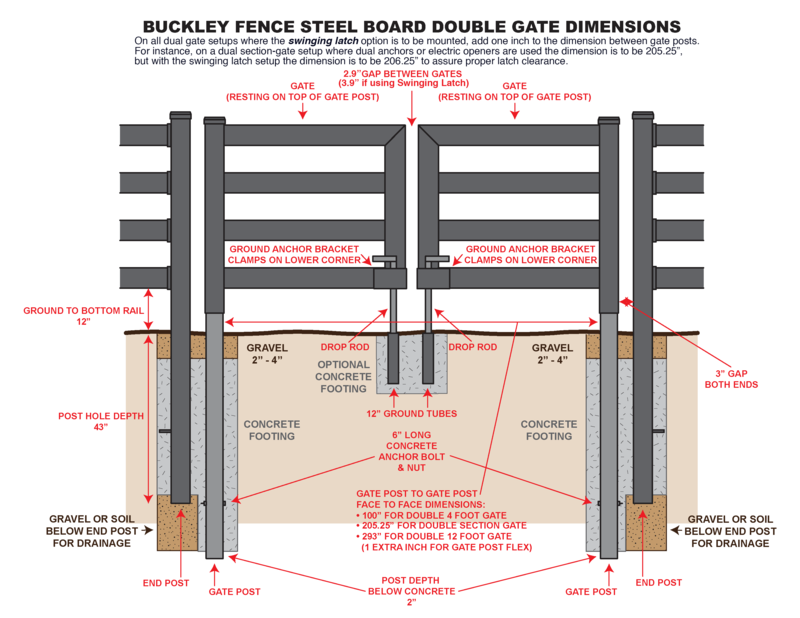 What are the dimensions of the Steel Board Fence components? Each rail is approximately 114” or nearly 10’ long, 5 1/8” wide, and 1 3/8” thick. The posts are rectangular in shape, 5 1/8” wide, 3 ½” deep, and 100” in length. The posts must be set in the ground 43” deep. Installed, the finished height of the fence post is 57” and the height to the top of the top rail is 54” for both the 3 and 4 rail configurations. 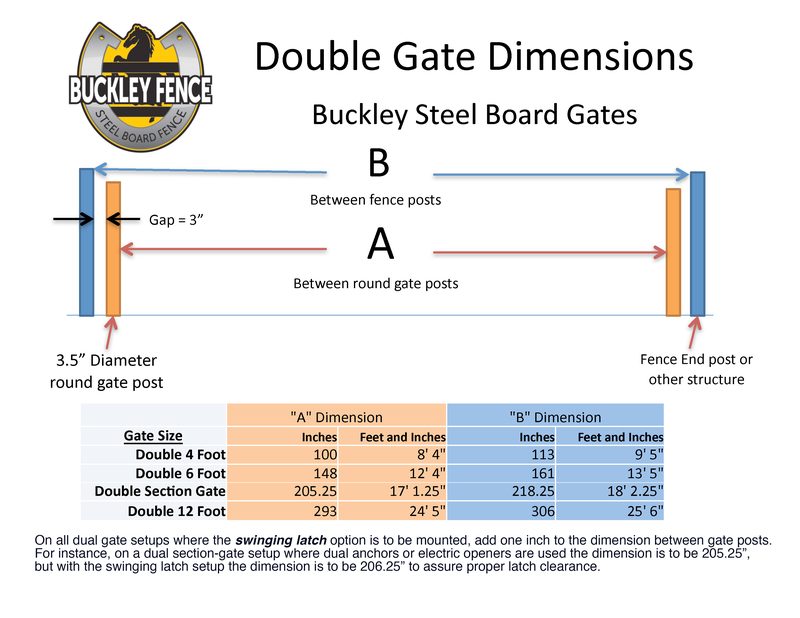 The gate posts are 108” in length and must be set in the ground 54” deep for stability. Installed, the gate post and the top rail are at the same height as the fence.